Ahead of the U.S. Thanksgiving Day celebrations, Nickelodeon is serving a smorgasbord of animation, live-action and preschool premiere episodes starting Monday, November 5. This includes the series launches of pre-k toons Rainbow Rangers and Butterbean’s Cafe, as well as new installments of PAW Patrol, Rise of the Teenage Mutant Ninja Turtles and The Loud House. Live-action faves Double Dare, Henry Danger and Knight Squad also return, and a sneak peek of the new series Cousins for Life is set for Nov. 24. Plus, from Thursday, Nov. 22 to Sunday, Nov. 25, The Fairly OddParents will take over Nicktoons Thanksgiving weekend, with episodes airing from 6 a.m to 10 p.m. ET/PT. 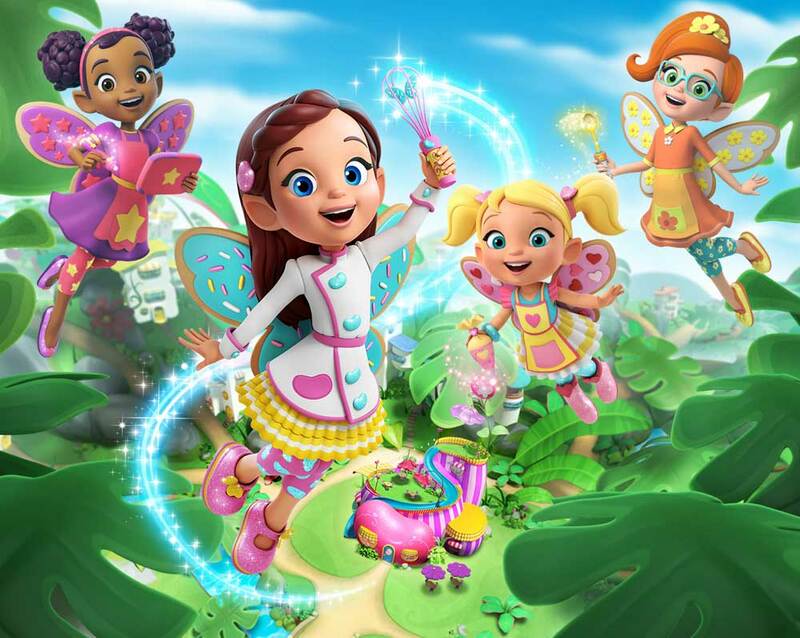 3 p.m. [Nick Jr.] Rainbow Rangers “Go with the Rainbow Floe/Northern Lights” (Series Premiere) The Rangers save a baby polar bear stranded on an ice floe. / The Rangers lose their Spectra Scooters while helping a seal family and discover the Northern Lights. 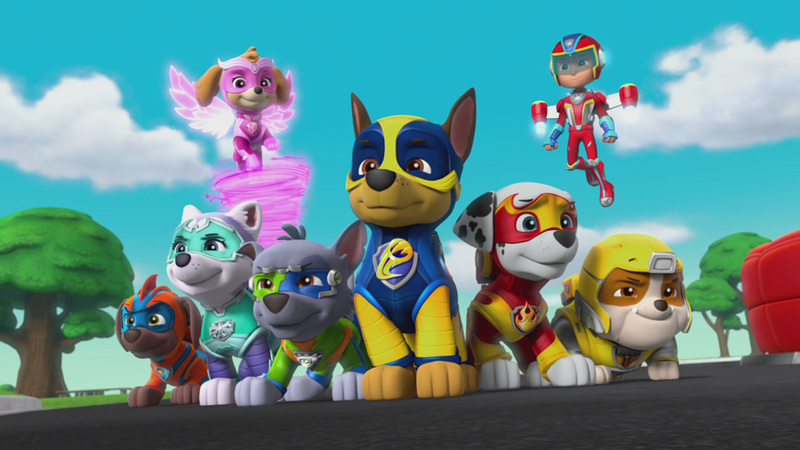 12:00 p.m. [Nickelodeon] PAW Patrol “Mighty Pups” (60 min. TV Movie) When their latest scheme goes awry, Mayor Humdinger and his nephew Harold accidentally divert a meteor towards Adventure Bay, which bathes the pups, Lookout Tower, and even Harold in the its golden energy –granting them superpowers. Harold tries to use his new powers to become the sole ruler of Adventure Bay, but standing in his way are the heroic Mighty Pups. 1:00 p.m. [Nickelodeon] Butterbean’s Café “The Grand Opening!” (Series Premiere) Butterbean and her friends work together to make the opening of the café a success, while competing café owner Ms. Marmalady attempts to throw them off track. 7:00 p.m. [Nickelodeon] The Loud House “The Loudest Thanksgiving” (30 min. Special) Faced with spending Thanksgiving apart, Lori and Bobby try to bring their crazy families together for the first time. 12 p.m. [Nickelodeon] PAW Patrol “Pups Rescue Thanksgiving/Pups Save a Windy Bay” When the bouncy turkey from the Thanksgiving feast at City Hall flies away with Mayor Humdinger and his kittens, the pups must save the day. / A super strong wind suddenly sweeps up all the surfers in the Adventure Bay Windsurfing Race. 12:30 p.m. [Nickelodeon] Butterbean’s Café “Fairy Happy Thanksgiving!/Cricket’s the Boss!” Ms. Marmalady thinks she has nothing to be thankful for—until Butterbean and her friends show her what Thanksgiving is all about. / When Cricket opens a lemonade stand with her friends, she learns being a boss is tough. 7 p.m. [Nick Jr.] Nella the Princess Knight “The Unicorn Rescue” (30 min. Special) When a young Princess Nella meets a lost unicorn, she finds the courage to make her dreams come true by becoming a Princess Knight. 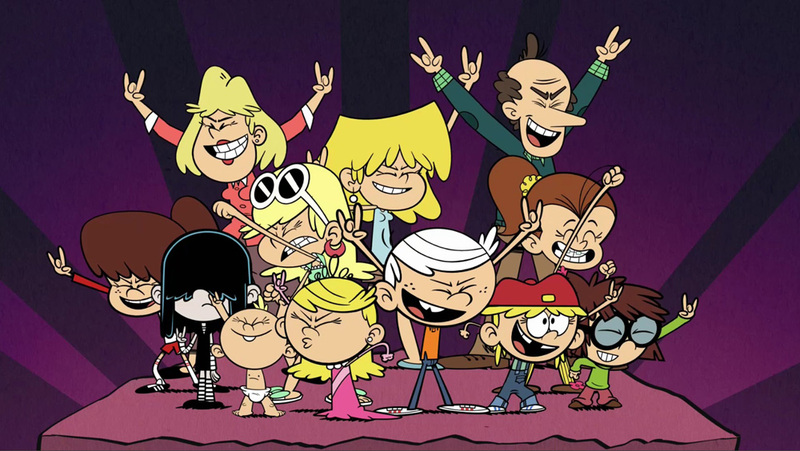 7:00 p.m. [Nickelodeon] The Loud House “Really Loud Music” (30 min. Music-Themed Special) Hoping to win a songwriting contest, Luna contemplates whether she should go with a song that’s true to her sound or try to make something that the whole world will love. 12:00 p.m. [Nickelodeon] PAW Patrol “Ultimate Rescue: Pups Save a Swamp Creature/Ultimate Rescue: Pups and the Hidden Golden Bones” When something goes wrong on the swamp tour, it’s Zuma and his Ultimate Swamp Vehicle to the rescue! / Everything is shaking and breaking beneath Adventure Bay, so Ryder needs Rocky to lead the pups on an Ultimate Fix-it Rescue.